When we think about pollution and the harm it does us, we usually focus on outdoor factors. 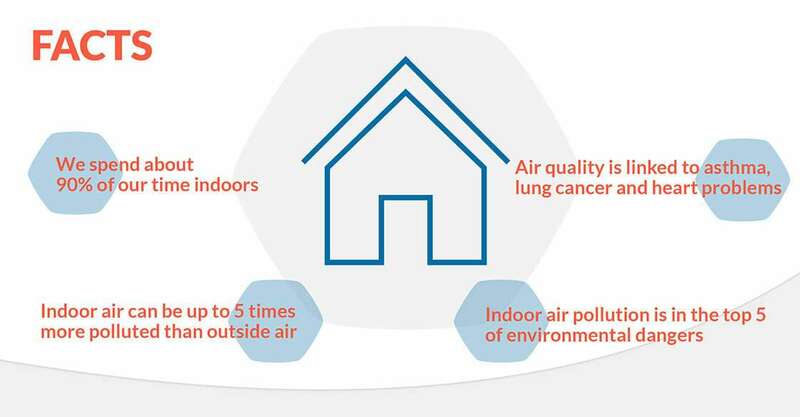 Little do we realize that indoor air pollution can be just as dangerous to our health. 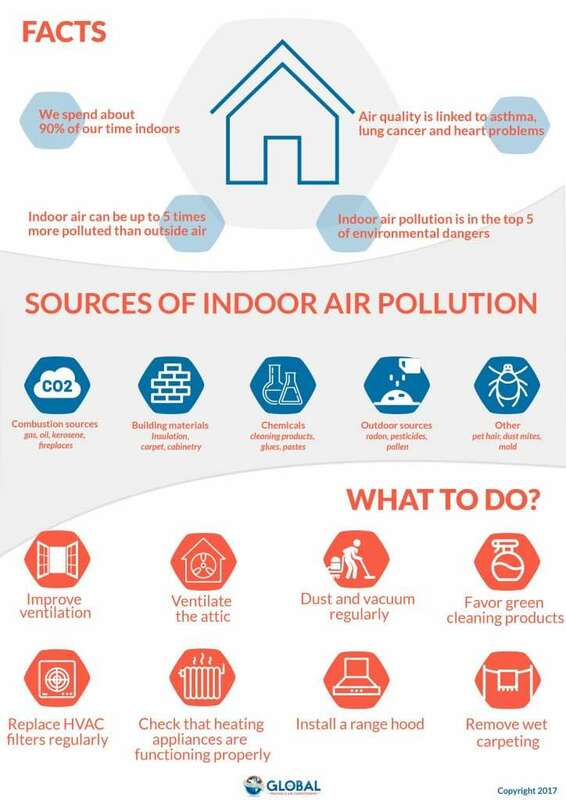 The infographic below displays a few facts and some tips to minimize the effects of pollution on our life.